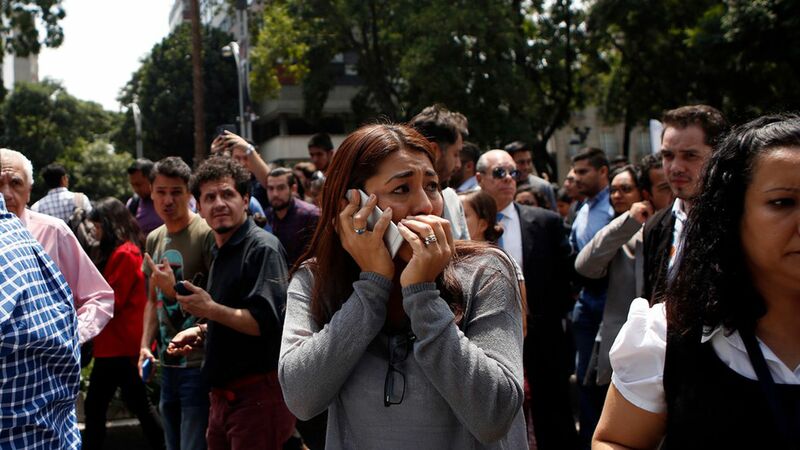 At least 104 people were killed by a 7.1 magnitude earthquake that struck Mexico City on Tuesday, per the Associated Press. This comes less then two weeks after another powerful earthquake struck Mexico, and exactly 32 years after the catastrophic 1985 Mexico City earthquake. The earthquake occurred 76 miles southeast of Mexico City, per the AP. Mexico City's international airport has suspended operations. Washington Post reports it came a couple of hours after an annual earthquake drill. The New York Times reports an entire office building collapsing in the neighborhood of Roma Norte, possibly trapping people inside.